I’m interested in comments from Overland readers about my article in the Australian on creativity and the commodification of academic programs. I was really targetting those unis who use the creative industries model. The creative industries model allows students to pick and choose their subjects in the arts and humanities. So for example, students would take a photography major and concurrently study a range of subjects such as multimedia and creative writing and try import these ideas in to a new creative product. This is the consumer model of education in action. The core idea is to lock the student in to years of questionable study across the credential spectrum and hope they get a job. I used RMIT as an example as it went down the same path recently with bachelor and masters degrees in the creative industries. The only reason I cite RMIT is that I am familiar with their programs as I am with many other universities. It’s part of my job. Most tier two or middle level universities in Australia offer similar programs at similar prices. The current head of the RMIT creative writing programs, Professor Catherine Cole was peeved in a recent letter to the Australian after this article appeared. She took exception to me simply stating facts obtained from the RMIT Office of Prospective Students. No one likes to talk about the money. That’s just the point! In 2010 prospective students will pay $22,000 for a three semester program for a Master of Creative Media, $51,840 for a three year Bachelor of Arts in Graphics Games Design and $48,960 for a three year Bachelor of Arts in Creative Writing. Of course students won’t have to pay up front, but when and if they get a job, that’s the type of money they will part with via the tax system. Do creative writing or ‘creative media’ programs teach creativity? I suggest not. That’s a lot of money for not getting much insight in to the creative process. What we’re talking about here is another “C” word — commodification. Maybe I was a bit harsh on the Australian. Malcolm, what an interesting article. It emphasises my belief that creativity cannot be taught. I have been creative since I could pick up a pencil – painting, drawing, writing, sewing, designing. I ended up studying Accounting/Computing at Monash and I can confidently say that my accounting degree went in one ear and come out the other. I vowed NEVER to go to uni again. I wrote the first few drafts of my novel while working as a programmer but I got to a point where I needed to learn more about the writing craft. Now I study at RMIT TAFE and I have found that this course has been invaluable. I don’t think I would have got the same practical skills from university and I don’t intend on going to uni. So my point is, practical writing courses (TAFE) are beneficial to people that are born creative, but need that extra helping hand to get their book to a publishable standard. No amount of teaching can teach creativity. But I think you’re right in saying that the universities are out to make money and do create the illusion that creativity can be taught when it really can’t. Sorry, I also want to add, that I think that creative courses (like RMIT TAFE) are lacking in something too. They don’t teach subjects like politics in writing, or subjects that can help with creativity like: what can I do to get my creative juices flowing etc etc. They are very focused on the craft but the things mentioned above are just as important as the craft. The other interesting thing is that when these kinds of degrees are seen as some sort of qualification to practice art, they inevitably create a situation in which the only professional artists are ones who have the time and money to afford a degree. In other words, an entire generation of artists who all come from the same educational and socio-economic background. This is particularly noticeable in literature and poetry. Most of the prize-winners (a major source of income for poets) have these kind of degrees. (Most of the judges are teachers of these kind of degrees, but that is a whole nother kettle of dead fish). So we end up with a national literature all speaking with the same voice, the educated upper middle class. And then funnily enough stand around asking each other why most Australians feel completely disconnected from literature and why we can’t sell any books. So, true, Paul. Most of the Vogel winners for an unpublished manuscript had Phd’s. It’s almost like they are looking for that type of writer. And now, with TAFE fees going up to pretty much the same level as uni, the middle and lower class writers who want to further their skills won’t be able to go to school. I am so sick of upper class Australian novel writers. There are hardly any writers from the middle, low class suburbs like the north. It’s so discouraging. Even the Premiers Awards this year – there were two teachers with Phds. It makes you feel like you’ve got no chance of getting your book published unless you have a Phd! Just to throw a spanner in the works, I think it’s all too easy to speak about a ‘upper class’ lock-outs. I knew I would not be able to study Creative Writing unless some university gave me a scholarship. The only (part) scholarship I was offered was to a law school a long way away from where I lived and as such, I had to actually move away from home and do the two degrees at once in order to be able to study writing. Most of the time I was at university, I lived in a damp squat (the roof was black with mould, it was infested with cockroaches and geckos lived in the loungeroom in summer), and often I couldn’t actually afford my text-books and had to get them either secondhand (which was extremely problematic, with changes in the law happening every six months or so), or go without and try to pass anyway. From November to March I worked full-time in a minimum wage job in a public hospital kitchen for five years. If you have ever worked in a mass-producing kitchen, you’ll know that it is dangerous, dirty and soul-destroying. So you’ll have to excuse me if I take offence to the implication that my privileged ‘university educated’ writing background and ‘upper middle class status’ has somehow pushed me to the front of the publishing queue. But Maxine, isn’t that the point? That you came from a background where unless you were given a scholarship you couldn’t study? It sounds like you went through a lot to be where you are today. But my question is, why is the publishing world built in such a way that people like you have to go through all you went through just to get published? And what if you didn’t get the scholarship? 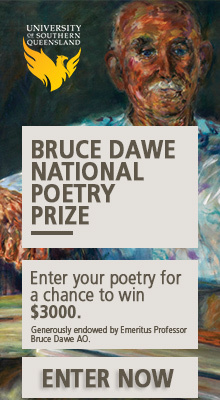 Does that mean Australian Literature would be without the poetry of Maxine Clarke? How sad. Is that what we want for Australian Literature? That if you don’t have a degree or Phd in writing you can’t be heard? What about all the talented writers in history that didn’t study creative writing courses. Image we didn’t have those inspirational voices. I am not saying this is a good situation. It’s appalling. But what I am doing is cautioning your assumption that these classes are populated by ‘people who can afford them’. In my experience the class was populated by the very maddest of dreamers who could least afford to be there. Maxine, it’s great to hear that people from lower and middle class backgrounds are getting these opportunities, but I wonder how common it actually is. When I say upper class writer I am actually referring to writers coming from privileged backgrounds that go to uni and come out with Phds but their voices are so boring and repetitive. They may have no creativity but because they finished a Phd they are at the front of the queue with writers like you and because publishers look so highly on Phds they get published, or win prestigious awards. I say there needs to be more writers like you at the front of the queue, but I think most of those writers aren’t getting the opportunity to get there. But yes, I should be careful when I say upper class writer. No, I don’t think you can teach creativity – although Koraly’s point about learning the skills necessary to structure a project of the scope of a book is a good one. I’m also cynical of the unrealistic expections and sense of entitlement that are often attached to such courses; the idea that “I have a degree in XYZ, so where is my job?” In my experience and observations, it’s not your degree that gets your foot in the door, but the quality and quantity of what you produce. A degree can provide the basic skills and support to do this, but the real work usually happens outside of university. The idea of a creative ‘qualification’ seems a bit farcical to me. The thing I liked most about my own undergraduate degree was that we also did a whole lot of arts and humanities subjects, which taught us how to think critically and sparked ideas to actually be creative about. Koraly, apart from perhaps Peter Carey (who was originally a middle-class boy from Bacchus Marsh) I can’t work out who the ‘upper class Australian novel writers’ you’re sick of might be. Who are you thinking of? I don’t think I’ve articulated myself properly and for that I apologize if I’ve caused any offense. I love Peter Carey! What I was trying to say is that I believe contemporary Australian Literature has been flooded with a particular kind of voice. It is a highly educated type of writing that to me, is repetitive and quite boring. I think there are so many Australian voices out there that aren’t getting published, simply because publishers are looking for the more educated type of writer, say, at a Phd level. But who are these Phd writers? As Maxine has pointed out, some of these writers originate from low and middle income backgrounds but most are from wealthier backgrounds that can afford to study to the Phd level. This may also be why there aren’t many second generation migrant novels in the market – most writers from these backgrounds are in the middle to low end of the scale, and that’s a shame, because these stories are a part of the Australian identity. If you took a snap shot of what Australian Literature we have today, do believe that it is a true reflection of Australian culture and identity? I don’t. Can you give some names, Koraly? I love a little finger pointing What is this ‘particular kind of voice’ other than being ‘repetitive and boring?’ Why is it boring? For thematic reasons? Stylistic ones? I’m still concerned with ‘most are from wealthier backgrounds’ Koraly. Is this evidence based? The Government has set ambitious targets for universities, with 20 per cent of undergraduate enrolments to be students from poor backgrounds by 2020. Study author Dr Brenda Holt, who is chief of staff at Melbourne University’s Trinity College, found most students had decided whether or not they wanted to go to university by early secondary school. While financial pressures were often cited as a reason for difficulty in accessing university, Dr Holt said this factor was sometimes overplayed. Maxine, geeze, I’m supposed to be finishing my novel not debating on the Overland blog! What a distraction! Um, there is no way I am going to be finger pointing but rather posing the same question I did in my last comment: do you think that contemporary Australian Literature is a true reflection of the Australian culture and identity? I don’t. I don’t often get excited by an Australian voice these days which is a shame, because I want to be. To put it bluntly, I want more stories from the northern suburbs, and the west, more migrant stories, an I’m not getting it. So I guess that probably means it’s for thematic reasons, but that links in with style too because I see these writers are more in-your-face type writers. I do believe that the wealthier get easier access to higher levels of education than middle and lower classes and that’s not evidence based it’s just what I think. Although, this article you’ve posted proves that the government is concerned about it too. Koraly, I fear that I am going to sound like an apologist for publishers…but…there is a fair argument that the two hottest Australian writers at the moment are second-gen migrants – Christos Tsiolkas and Nam Le. Their voices, anyway, are not locked out. Mainstream publishers choose books that they think will sell enough to be profitable. That might not be the only criteria, but it is the main one. If this leads to a lack of diverse voices then perhaps the problem is with the readership, not the publishers. I say this as someone who has had plenty of rejections from publishers. Of course it hurts and of course you feel angry when it happens, but I have no doubt that my books would have been picked up if there was a big enough readership out there to make them profitable. I get tired of people bagging publishers – just because we write (and this is not a point directed at you, Koraly, in any way; it is a general thought and aimed more at myself than anyone else!) doesn’t mean the universe has an obligation to find us publishers, or for that matter readers. We can hate the capitalist system that doesn’t take a risk on edgy books, but it is what it is, and at least we have other options denied our predecessors, such as web publishing or relatively cheap paperback self-publishing. It is a hard and thankless vocation, and I wish that it was different for you (and me, and others on this blog) but until enough book buyers choose our stuff over Bryce Courtenay or Robert G Barrett (or The Slap or The Boat) then we need to consider lateral options in order to get our stuff out to an audience. Or, perhaps, consider why our material is less attractive to readers. Hope this doesn’t sound too preachy! Good luck with the novel, and I certainly agree that a broader mix of voices in the world of books would be a fine thing. It just might have to be via a conduit other than HarperCollins. Hi Michael, great comment. Yes, I agree, I guess I wish there were more books like ‘The Slap’ and ‘The boat’. Good luck with your work too. I know I’ll get there one day, just have to keep writing. As a graduate of RMITs MCM program, now on a scholarship in the last year of the PhD, teaching and still eating baked beans and drinking cask wine, no books published yet, after 10 years of tertiary study… This second generation middle-eastern woman gets a little tired of hearing about how boring and spoilt and alike PhD writing student are supposed to be. Did you know you actually have to work for the degree? You can’t just buy it. It’s full time, intensive, all-encompassing hard work.